For this week’s issue, the Gabriel Message is about answering our own questions by finding the true, most enlightened state within our own being. People seem to be filled with questions nowadays. Life has taken momentous turns that most of us were not expecting. There seems to be an ongoing need for not just clarity, but an enlightened perspective to help us put our minds at ease. From within our busy lives, this ability seems fleeting at best, and sometimes hopeless. Because scientists have discovered the intelligence of our hearts to be greater than that of our brains, I have found that placing my hand on my heart brings me back into integrity with myself very quickly. Deep breaths into my heart allow me to open up to a more expanded way of thinking. Prayers to receive guidance and wisdom bring a new opening to my mind. Then I need to give myself time to align with the Highest Source of Light in order to create a bridge from Heaven to Earth within my being. If I am sensitive to my energy field, I notice that when I take the time for this connecting process there seems to be more Light around me. Indeed, I feel much lighter, perhaps even more enlightened. From this place of expansiveness, my questions will either be answered or dissipate in the greater awareness this opening provides. As I call forth the Light from the Highest Source there is, I invite this Light to fill my mind and heart, bringing me a deeper connection to Divine Wisdom and Guidance. May I allow Creative Solutions to abound and lighten up all areas of my life. 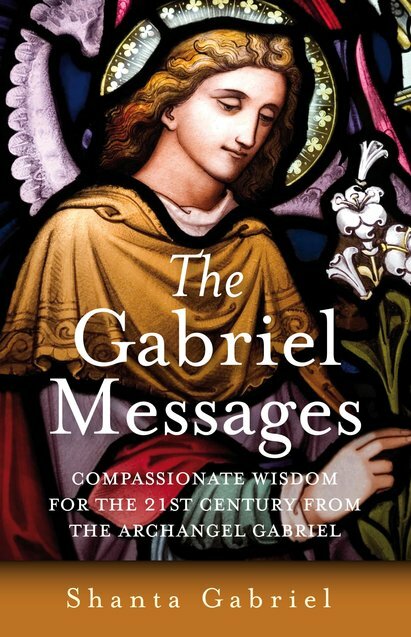 The Gabriel Messages #32When you connect deeply within to your enlightened state of mind, there is an expanded perception of the world you inhabit and any question can be answered. The Gabriel Message Cards are available here. A personal message is included with each card set. Each set contains 56 cards in a beautifully illustrated box. The Gabriel Messages book by Shanta Gabriel is always available on Amazon. There are a limited number of autographed copies of The Gabriel Messages book available from Shanta directly for $20 plus $5 shipping. Contact Shanta at shanta@shantagabriel.com if you’d like to order a book. An online version of The Gabriel Message book and cards can be purchased here. Reading these cards gives me strength and hope for the future and adds meaning to the present. –D.M.P. See all specials, free guided meditation and featured meditation here.